This article takes a closer look at modern LED lighting solutions for covered, open and rooftop decks. Covered decks can facilitate several types of LED deck lighting units. LED string lights are recommended for outlining or boundaries of the ceiling, which provides general illumination in the area. If there are other lighting systems installed, string lights with low color temperature ratings help prevent over illumination with its slightly yellow features. Mounting for this type of outdoor lamp is seamless, typically incorporating hooks or nails to hold individual lights along the string. 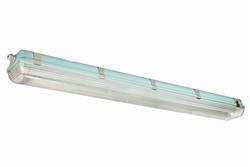 For wide spaces, LED linear lights could be installed above the deck. This is a common option also found in garages, offices, workshops and industrial buildings. Open decks (without covers or ceilings) call for different types of LED outdoor lighting solutions. For outlining the space, LED strip lights could be installed on the ground, which illuminates the outer sections of the area. If there is a stairway or extended path leading up to the entrance of the deck, the compact lights may provide guidance at night. LED strip lights are durable, long-lasting options for open decks. Furthermore, open decks setup against a wall could benefit from LED wall pack lights. Some decks are located on rooftops, which could utilize pole mounted LED lights, wall pack units (to mark the entrance/exit) and LED strip lights. A consideration when setting up LED deck lights for rooftops is light glare. If the building is close to other living areas (usually in cities), lamp shields that address stray light beams should be incorporated.